When you are small, it’s easy to be overlooked. However, a robot vacuum cleaner is one small thing that you can never overlook. This is because this type of vacuum cleaner brings a lot of convenience in an interesting and futuristic shell despite the small size. If you are like most people, vacuuming is top on the list of chores that you love to hate. 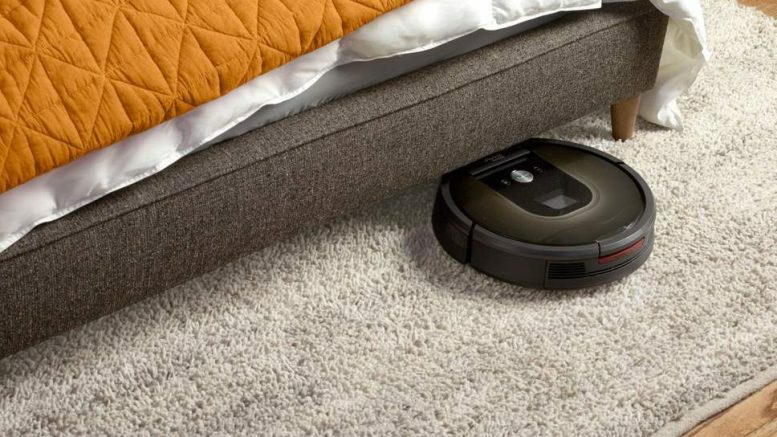 Fortunately, with a robot vacuum cleaner, you no longer have to hate the chore so much because it is reduced to something simple that can be done in a few minutes. Let’s take a look at some of the benefits that you stand to gain when you own one of these devices. Just like any other robot, a robot vacuum cleaner will do the work automatically. You don’t have to do anything. No need to take part or even be present as it cleans. All you need to do is to turn it on and it will take care of the rest. You won’t need to follow it around the house to make sure that it doesn’t miss a spot. It comes equipped with sensors that detect the surface being cleaned and the device adjusts the cleaning operation accordingly to ensure that you get the best results. These sensors also help it steer around any obstacles in its path. Some models will even connect to your home Wi-Fi and allow you to manage the cleaning remotely from an app on your smartphone. This app will give you notifications when cleaning is done and if the device needs your attention like when it gets stuck or if the pan is full. You can even set up a schedule for cleaning so you won’t have to worry about the robot for an even longer period. Worried that cleaning will stop when the batteries run out? This should be the least of your worries because most robot vacuum cleaners will return to their charging docks when the battery runs low. It gets better. Once the battery is fully charged, the vacuum cleaner will pick up from where it left off and complete the cleaning task without missing a spot. It’s actually more effective than when you do the vacuuming yourself using a traditional vacuum cleaner because it’s easy to forget where you had reached when you come back from a break. Time is one resource that is very scarce in our modern lives. Like everyone else, you are probably also trying to balance between building a career, raising a family and having an active social life. With this in mind, anything that frees up a few hours from your schedule is a breath of fresh air. That is exactly what a robot vacuum cleaner does. Since you don’t need to be present as they vacuum, you can turn it on, leave for work, and come back to a clean house without having to spend anything more than the few seconds it took to turn the robot on! In contrast with traditional vacuum cleaners, robotic models are usually smaller. This means that they will be able to easily vacuum under the sofa and other hard to reach areas without the need to move any furniture. The fact that you won’t have to deal with any cords also means that you will also be able to vacuum any areas that were previously unreachable without extension cables. Robotic vacuum cleaners really shine when it comes to maintenance. Since they are self-charging, your only job when it comes to maintenance will be emptying the dustpan every once in a while. To ensure a compact design, robotic vacuum cleaners will have a slightly smaller dustpan hence you will need to empty more often when compared to your larger vacuum cleaner. However, even the smallest of dust pans have enough room for four or five cycles so it will be a while before you need to empty. Robotic vacuum cleaners are made with a very specific purpose: to vacuum your floors with no input from you. With this in mind, they will automatically map the area and come up with the most efficient cleaning route. They also come packed with advanced navigational capabilities to maneuver their way around obstacles and to avoid bumping on walls or falling off the stairs. For most units, you can also set up virtual walls to restrict them to specific areas of your home. These are just a few reasons why you should consider getting a robotic vacuum cleaner for your home. In fact, with advances in technology, they are becoming more and more practical every single day. Going by the recent trend in consumer behavior, these devices are here to stay. If convenience and flexibility are important to you, then these devices are inevitable when shopping for the best vacuum cleaner for your home. Be the first to comment on "Benefits of Owning a Robot Vacuum Cleaner"